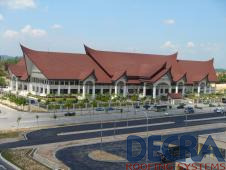 AHI Roofing are manufacturers of Decra® and are the world leaders in steel roof tile production and technology. 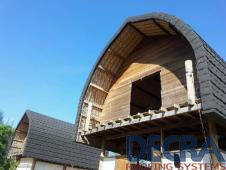 Our product range includes a variety of roof profiles to complement all home styles. Recognition of market needs and demands has been the hallmark of our success. We help you to imagine. With DESIGN YOUR ROOF you can easily view all our profiles with all the colours. 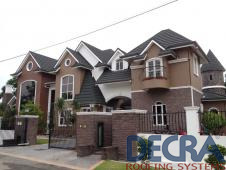 Decra roofs are exposed to extreme climate around the globe and they steadfastly refuse to degrade. 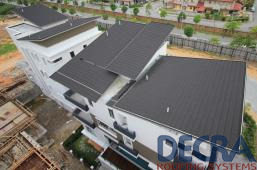 Extraordinary durability of our roofs is backed up by 50 years warranty. If you have a product enquiry, or would like details of your local Decra distributor. Copyright © AHI ROOFING (MALAYSIA) SDN. BHD. 2014. All rights reserved.